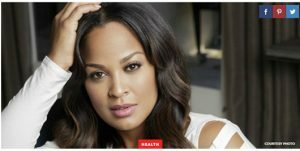 Think About Your Eyes partnered with pro-athlete and lifestyle expert Laila Ali to promote annual eye exams to parents during the back-to-school season. Ali herself knows the importance of annual eye exams at a young age: she started wearing glasses at age 11 and her daughter needed them at age 5.Through this partnership, Ali participated in 25 media interviews with radio and TV stations from around the country. Interviews with Ali appeared on popular celebrity and lifestyle sites Hello Giggles, SheKnows, Celebrity Café, Live Strong, Fox Business, A Plus, and Inquisitr. Each interview discussed the importance of an annual eye exam this summer for kids and directed readers to ThinkAboutYourEyes.com to find an eye doctor near them. These interviews yielded more than 78 million impressions. To support Think About Your Eyes, contact Maureen Beddis at mbeddis@thinkaboutyoureyes.com.